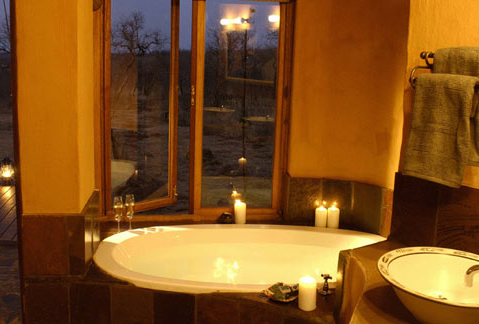 ACCOMMODATION Succumb to the peace and tranquillity of this spectacular setting. Enjoy the total privacy of your own private plunge pool while you relax in the spacious luxury of your private chalet. The 7 chalets are air-conditioned for warm summer evenings and have a Morso fireplace for the cool winter nights. Rhulani has conference facilities. CHILDREN The 2 bedroom luxury family suite has 2 en-suite bedrooms, with outdoor showers, all the rooms lead on to the private deck with plunge pool. 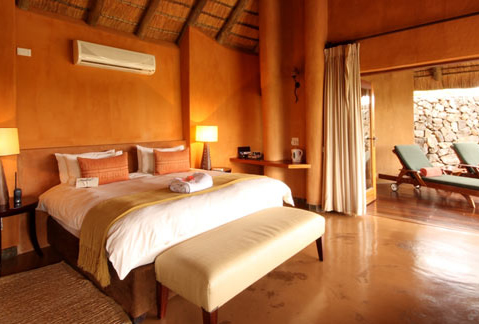 The bedrooms have air-conditioning and Morso fireplaces. The extra-large bedrooms can accommodate 2 comfortable stretcher beds for children or the lounge can be converted into 2 single beds. 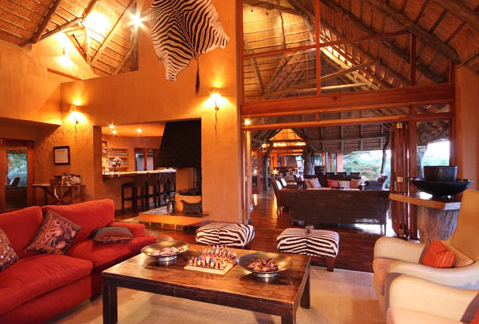 INCLUDES Our rates are inclusive of 2 game drives and 3 meals daily. 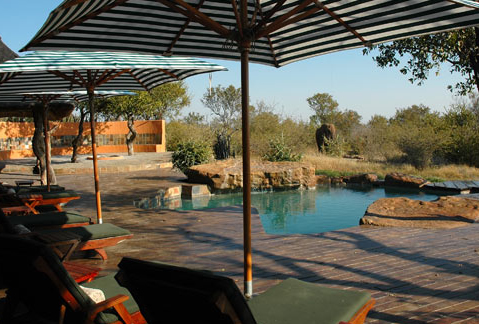 The rates excludes Parks Board Entrance fee of R150 per person per stay, massages, drinks, laundry, curios and your transport. 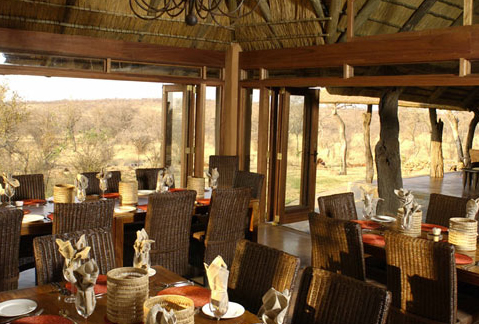 DESCRIPTION The adventure begins the moment you arrive at Madikwe Game Reserve. 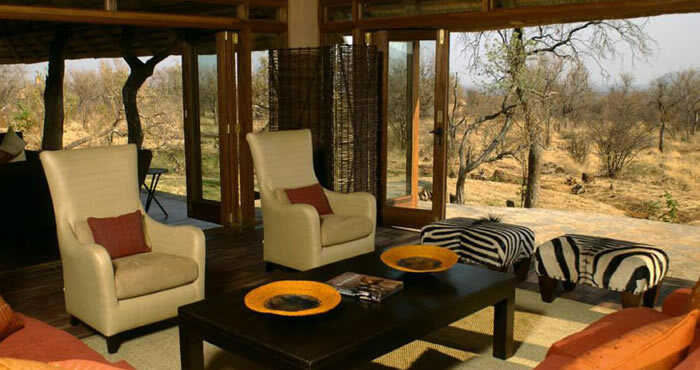 A wonderful welcome awaits you at the main lodge, Rhulani means "Relax" so sit back and enjoy! Creating Rhulani has been both stimulating and inspirational, we set out to transform the ordinary into the extraordinary, to build a modern day refuge, an oasis of calm, a place to nourish the soul and lift the spirit. We invite you to experience the serenity and harmony of this special place with us; come celebrate nature, celebrate life!